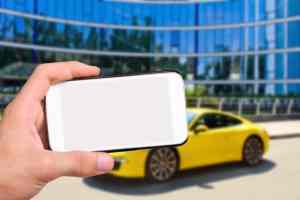 Car accident scene documentation with a smartphone has really made it easy to obtain evidence that can be used later to prove legal liability and other issues. As an auto accident lawyer who has handled thousands of injury claims over the past 20 years, I can remember the days of trying to take photographs of vehicle damage in a tow yard after the fact. Now, all this type of physical accident scene evidence can be documented “on the spot” with that little device most of us carry around in our pockets, the “smartphone”. Photograph Property Damage: The two, major issues of contention in auto accident claims are usually: (a) who is legally at fault for the incident; and (b) was the impact significant enough to cause bodily harm. Both of these hinge, in large part on the physical damage to the vehicles. For example, if there is clear damage to the rear of a car and the front of the car behind them, this would be indication of a rear end collision. If the damage is not extremely evident on the rear of the front car but, the whole front end and hood is demolished on the rear car, this could indicate a high level of impact. For these reasons, it is important to take digital photographs with your phone of all vehicles involved in the collision and from multiple angles and straight on and from close up and further away. If the air bags deployed, this should also be documented by taking photos of the deployed bag(s). Photograph of the License, Registration and Proof of Insurance: Let’s face it, when you are involved in an auto accident, it is a very traumatic event. Rather than relying upon simply writing down a driver’s license number, insurance company name, insurance company policy number and phone number and the registration information and take the risk of “shaky nerves” causing you to make a mistake, simply take a photo. Lay each item down separately or together if they will fit in the shot. Do this on a flat surface like a hood or car seat and make sure your phone focuses in and clearly shows all information in a legible manner. This will also give you the added benefit of having a photograph of the person who hit you by way of their driver’s license. Take Photos of the Accident Scene: The placement of the vehicles when they ultimately came to rest and the evidence of skid marks on the road, can play a big role in reconstructing what happened at a later date. Taking photos of the debris and where it rests in relation to the wrecked vehicles can also be helpful. If you have time, you may also want to photograph the signs and signals from the vantage point of where you were just prior to the crash (For example: If you were facing a traffic light or street signs that directed the flow of traffic and another vehicle violated these rules). Take a Video of Witnesses Willing to Provide a Statement at the Scene: If you need verification of something like a blown stop sign or someone running a red light, third party witnesses like nearby motorists or pedestrians who saw what happened leading up to impact and following can be very helpful later. While some people may feel uncomfortable going “on record”, many more are willing to help someone in need. In the video, you should ask for the persons full name (spelled out), address and best phone number to contact them later in addition to asking them what they saw, heard or observed. Taking Pictures of Injuries: Bodily harm that is immediately apparent such as cuts, scrapes, bruises, lacerations should be photographed. You should also take pictures of the wounds as they heal over time. Once you have obtained photos, video, or other information from the scene of the auto crash, it is important to provide this to an attorney as soon as possible if you intend to seek compensation for personal injuries. Why? First, the lawyer will preserve this evidence and do a digital back up. Second, the lawyer will review the evidence and decide if all or part of the evidence may be used in the prosecution of the accident claim. Finally, the attorney can provide this type of physical evidence to experts such as accident reconstructionists, biomechanical experts and medical experts and they may be able to use this as a part of the basis for any opinion regarding liability or causation of injuries. No one ever wants to be involved in an accident and documenting the scene is not the highest priority but, it can provide crucial evidence and with the advent of modern technology, has become easier than ever to do so, why not do it if at all possible!